Inspired by the mysterious, glittering "Dark Half of the Year". 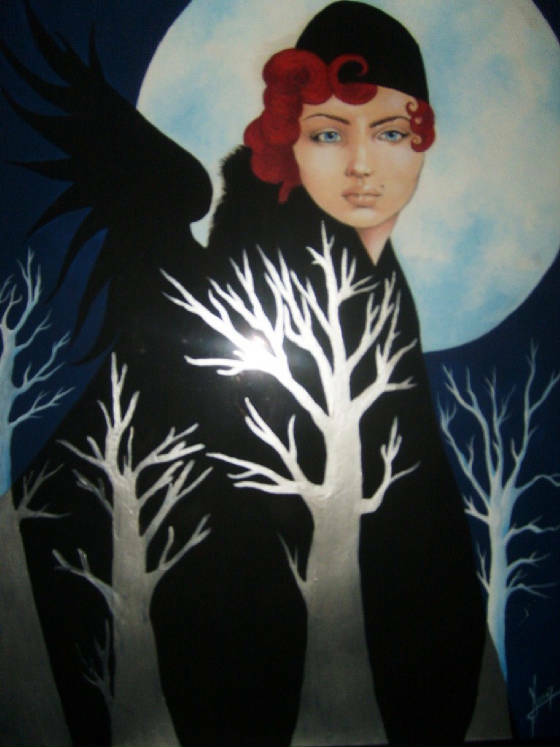 Many people who have seen this piece remark that the angel, floating through the silver trees in her black furred cloak, reminds them of an old fashioned "dame". The mat around this painting has been painted with tall silhouetted winter trees to incorporate it into the piece. Truly a "ready to hang" piece.